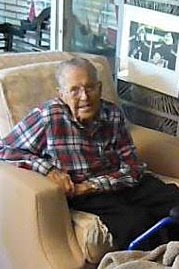 Here's Lamar T. Graham, only days before his 100th birthday, celebrating Thanksgiving, 2009. Lamar is the 3rd great grandson of Francisco Xavier Sanchez, co-author of the book Double Cousins , who was born December 8, 1909 in Fitzgerald, Georgia. Posted by his daughter, Dee Graham.